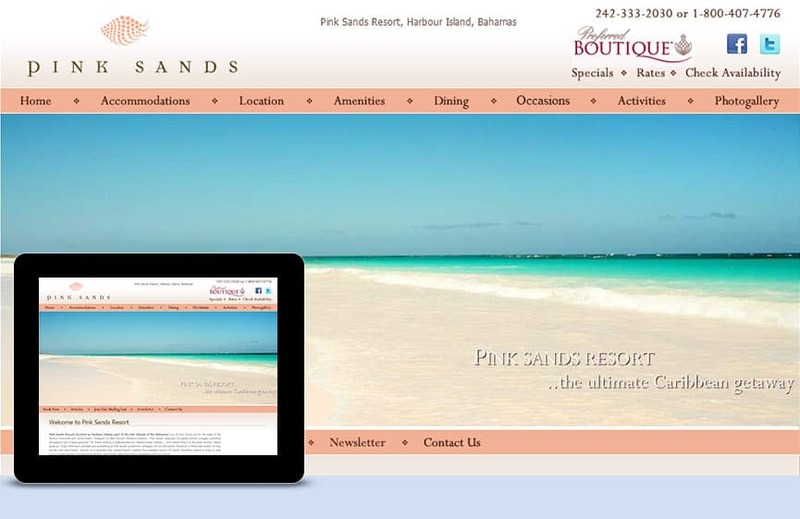 Pink Sands Resort, located on Harbour Island, part of the Out Islands of the Bahamas, is a 20-acre haven set by the edge of the famous three-mile pink sands beach. Designed by Biba founder Barbara Hulanicki – Pink Sands comprises 25 pastel-colored cottages scattered throughout lush tropical grounds. For those desiring a sophisticated but relaxed beach holiday… Pink Sands Resort is the ideal Harbour Island getaway. Enjoy afternoon cocktails and sunbathing at Pink Sands’ oceanfront cottages with private patios framed by a three-mile stretch of rosy powder pink sand beach. Snooze on a secluded pink sanded beach, explore the unspoiled beauty of nearby Eleuthera Island or enjoy a wide array of water sports, including bone-fishing, reef fishing, deep sea fishing, snorkeling and much more!